Southcentral Kentucky Community and Technical College (SKYCTC)] is offering students a one-stop enrollment opportunity November 15 – 17, beginning Tuesday. Express Enrollment week is an event to help students with one-on-one advising regarding enrollment, financial aid, scheduling and other items that prospective students need to complete for the Spring 2017 semester. Additionally, if a student has not taken the required placement tesst, that can be completed as well. The goal is to make the enrollment process as simple and fast as possible. Students who submit all necessary admissions documents will be able to complete the process in one day. Anyone interested in applying and enrolling for the Spring semester may schedule an appointment by registering at Kctcs.edu/express. 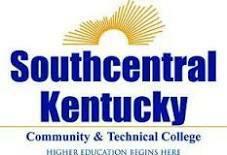 About SKYCTC: Southcentral Kentucky Community and Technical College (SKYCTC) is one of sixteen colleges that comprise the Kentucky Community and Technical College System. Fully accredited by the Southern Association of Colleges and Schools Commission on Colleges, SKYCTC offers certificates, diplomas, and associate degrees; provides workforce training; and administers adult education programming. The college operates six campuses and serves the 10-county Barren River Area Development District in south central Kentucky.